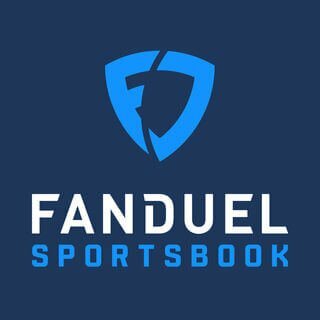 The FanDuel Sportsbook legality is now unrestrained following the repeal of PASPA however the site is based only in the State of New Jersey at the current moment. The site has been authorized by the State of New Jersey, Division of Gaming Enforcement for use by registered users physically present in New Jersey. This means that only players that are geolocated within the state of New Jersey are eligible to play on the site. Additionally, only users over the age of 21 may create a FanDuel Account. To ensure that users are geolocated in New Jersey users will be required to download the GeoComply plugin. The plugin is mandatory to place a sports bet using the FanDuel Sportsbook in New Jersey. If a New Jersey-based user travels outside State limits they will not be able to place a sports bet. FanDuel is primarily a daily fantasy sports provider in the United States. The brand was founded back in 2009 and is the second largest daily fantasy sports provider in the world. In May 2018, FanDuel agreed to be acquired by popular Irish bookmaker Paddy Power Betfair. The deal made FanDuel enter into the sports betting market where it now caters to players based in New Jersey. It is expected that FanDuel will spread across the US following the landmark decision by the Supreme Court that led to the repeal of PASPA. For now, only the New Jersey-based users can enjoy the sportsbook facilities or on their mobile phones. Is your information secure with FanDuel? When using FanDuel you will be required to submit certain details which will be required to verify your identity and allow you to successfully register and sports bet on the site. FanDuel recognizes that users value their privacy and in that spirit does all that it can to secure private details of their users. To operate, maintain and provide to you the features such as products and services. For processing and responding to inquiries. For personalizing your use of the Service. For alerting you to new features, special events which the brand thinks you will be interested in. For enforcing the legal terms that govern your use of the Service. FanDuel may use your information to send you marketing and advertising content which includes sending you advertising via multiple channels, email, and notifications. FanDuel may disclose a user’s personal information to their subsidiaries, affiliated companies, agents, other businesses, or service providers who process your information on the site’s behalf in order to provide or operate the Service. Fanduel’s agreements with these operators, however, limit the kinds of information they are allowed to use or process and requires that they use reasonable efforts to keep a user’s personal information secure. Also when it comes to social media, when a user chooses to share information with social media services about their activities on the FanDuel platform, then FanDuel may share the user’s personal information and information about the user’s use of the Service with the social media sites. FanDuel does everything in its power to make sure that its users' information remains secure. While the site cannot guarantee the protection of information, they do take appropriate security measures to protect your personal information such as storing the personal information you provide on computer systems which are given limited access and that are located in facilities to which access is limited. To further protect your privacy and security Fanduel may also reserve the right to take reasonable steps, which could be requesting for you to provide your password to verify your identity before granting you access to your own profile.